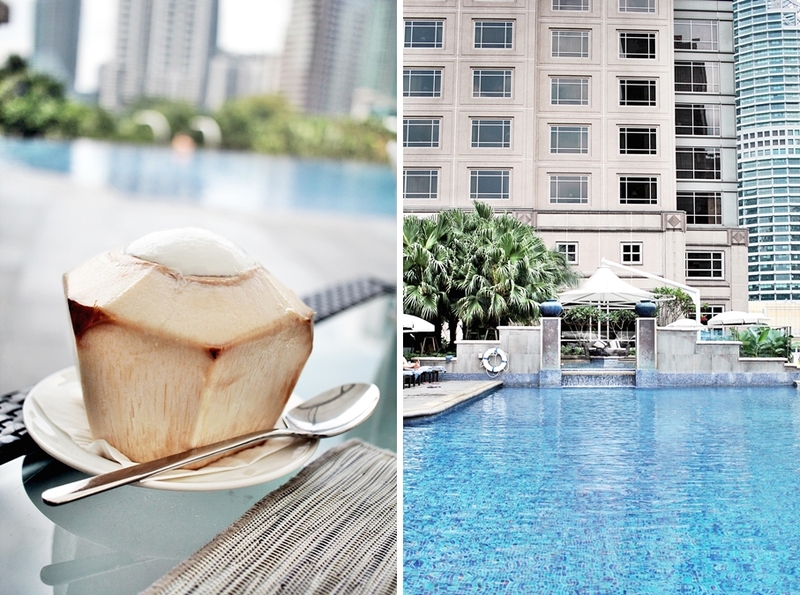 During my layover in Kuala Lumpur I had the pleasure to visit the Mandarin Oriental Kuala Lumpur hotel for a lunch by the pool. Within the following article and photos, I would like to give you an overview about this signature property in Malaysia. The travel to Kuala Lumpur has been my first visit ever to Malaysia. I think Malaysia is a very interesting country. On the one hand, there is a lot of abandoned landscape, on the other hand there are cities like Kuala Lumpur which combine modern buildings like skyscrapers in a short distance to the local and smaller buildings. The Mandarin Oriental is located within the business district of Kuala Lumpur. The hotel looks like a palace while featuring a total of 30 floors and almost 700 guest rooms in total. The Mandarin Oriental is just next to the signature Petronas twin towers, which are most remarkable for Kuala Lumpur. As I visited the hotel during the Ramadan month I was lucky with the timing, as the hotel is usually even more crowded for lunch. 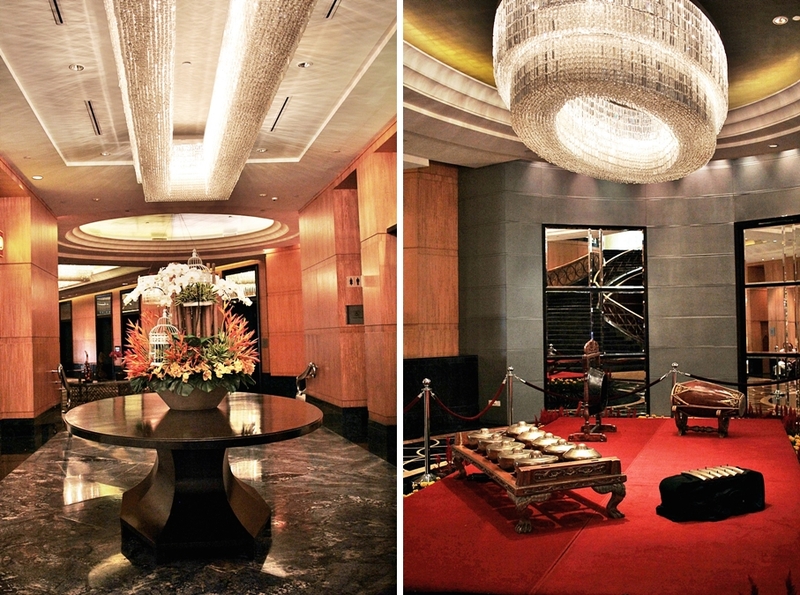 The Mandarin Oriental hotel in Kuala Lumpur has multiple restaurants. While featuring a Chinese restaurant with authentic Chinese kitchen there is also a restaurant next to the pool side, named the AQUA Restaurant, which I visited for lunch. 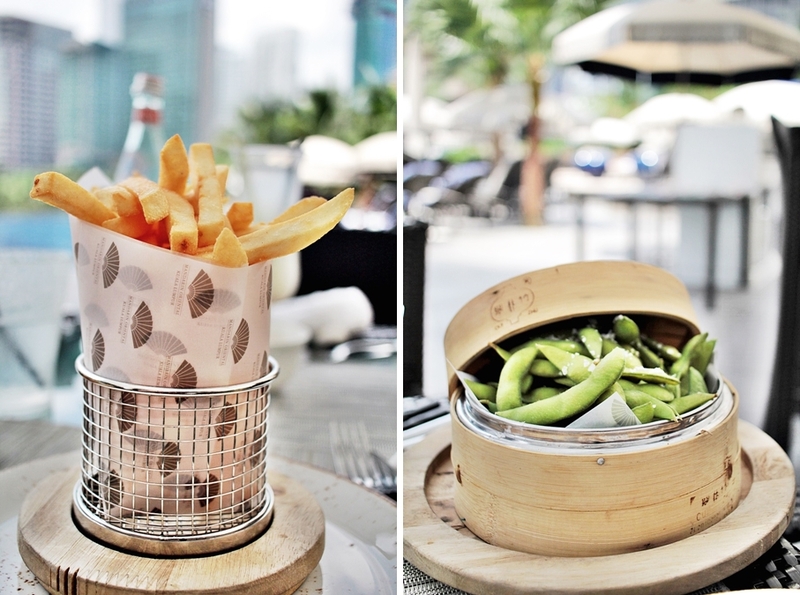 The AQUA Restaurant serves international kitchen, including sushi, burgers, pizza and local food. 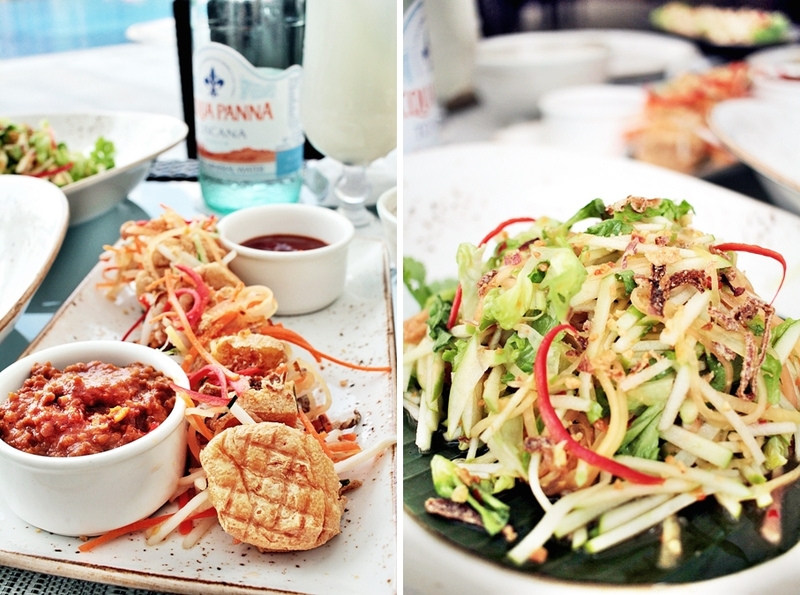 One will also find multiple vegan options on the menu but in total it's a great offer for all kind of tastes. My favorite dish has been to deep fried tofu, which was additionally stuffed with vegetables. As Malaysia is always very hot in terms of temperature the dishes as the fried tofu, hummus or edamame are perfectly refreshing and a light snack. I would personally recommend this restaurant especially in terms of the unique location. Enjoying lunch or even dinner with an outlook above the Kuala Lumpur skyline is an amazing feeling but even being next to an infinity pool is an absolute highlight and a unique memory. Mandarin Oriental, Kuala Lumpur opened in October 1998 and remained to be a hotspot of Kuala Lumpur and a luxurious get away. It is definitely worth a visit for everyone travelling to Malaysia.